Fenugreek is added in most of the Indian dishes and has great medicinal value. Its sprouts are active constituents in the traditional ayurvedic medicines of India. Fenugreek seed is included in the spices. It is a herb that is very beneficial for your health. Fenugreek sprouts are very effective in the treatment of hair and skin also. Being abundant in anti-oxidants, fenugreek sprouts counteracts the activities of free radicals in the body, which causes damage of the cells of the skin. Hence signs of premature ageing like crow’s feet, wrinkles, fine lines on the forehead and around the mouth, and pigmentation are prevented by consuming fenugreek sprouts regularly. This is one of the natural ways to stay young and active. As you know, acne and pimples are often formed when the digestive system does not function properly and when you suffer from constipation. Having fenugreek sprouts helps in keeping the digestive system cool and prevents constipation. So, by consuming fenugreek sprouts on a regular basis you to get a clear skin that is free from acne, pimples and other such problems. As mentioned earlier, fenugreek sprouts are rich in anti-oxidants and they fights against the free radicals in the body, which cause damage of the cells. So, consuming fenugreek sprouts is an excellent way to prevent hair fall as cellular damage is one of the main reasons for hair fall. The hormone called antecedents present in fenugreek provide nourishment to the hair from the roots and treats follicular problems, thus repairing damaged hair and helping in the better growth of the hair. The proteins and nicotinic acid present in it also do the same. Lecithin in fenugreek prevents dandruff and is effective in the treatment of dull hair, providing you a smooth and lustrous hair. Fenugreek has anti-viral properties and helps you in preventing cold and sore throat and also provides you relief from the symptoms of cold and sore throat. 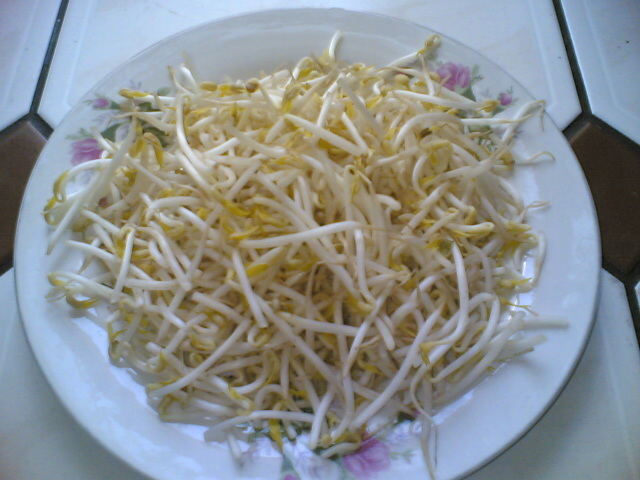 So if you are suffering from cold and related problems, have fenugreek sprouts and you will feel better. Fenugreek is rich in anti-oxidants, which can reverse the actions of free radicals that are formed in the body and therefore protect the body from the damages caused by the free radicals. These anti-oxidants also help in preventing certain types of cancers. Studies have shown that fenugreek helps in keeping your cardiovascular system healthy. If you consume fenugreek daily, you can greatly reduce the risks of heart attacks by lowering the cholesterol level. Fenugreek checks the levels of the triglycerides effectively, which are fatty deposits that are found in the blood. Triglycerides can cause heart problems. Fenugreek is also rich in potassium, which keeps a check on the levels of sodium and thus helps in controlling the heart rate and the blood pressure. Fenugreek sprouts work wonders for those who suffer from diabetes. It enhances the production of insulin in the body and therefore lowers the high levels of sugar in diabetic patients. A research was made on people suffering from type 2 diabetes and they were asked to consume fenugreek daily for 24 weeks. After 24 weeks, it was found that the level of sugar in their blood was greatly lowered. Fenugreek is rich in amino acids that can stimulate the production of insulin and thus help in controlling diabetes. So if you are suffering from diabetes, make a habit of consuming fenugreek regularly for getting relief from diabetes. Fenugreek has the property of increasing the production of milk. This property of it is made use of by the lactating mothers. They consume a fixed dose of fenugreek daily to increase milk production. Breast milk is essential for new born babies as they live only on this milk for the first six months. According to the ancient ayurvedic traditions, fenugreek is great for sexual health. Consuming fenugreek sprouts can enhance libido and sexual performance. Fenugreek has been used in India for ages for helping in digestion and for the treatment of gastric problems. It is also used in the treatment of diarrhea and flatulence. Even now grandmothers use it for stomach troubles. Modern medicine has also understood its importance and uses it for various treatments. According to a research conducted, fenugreek sprouts can help you in losing weigh effectively. This is because fenugreek sprouts contain a polysaccharide called galactomannan, which gives you a feeling of fullness. So it prevents you from eating more food. Fenugreek has about 75% soluble fiber, which again provides you the feeling of fullness. So it helps in losing weight in two ways. Consuming fenugreek in fixed and limited amounts can enhance the contractions of the uterine walls and therefore induce child birth. It also makes the process of delivery easy. But you must not consume it in excess when you are pregnant as excess of it can cause harm. Fenugreek has lots of medicinal properties and is a rich source of Vitamin C, proteins, niacin, alkaloids, iron, potassium and fibers. A compound called diosgenin is also found in abundance in fenugreek and it has many properties of estrogen. It has steroidal saponins, which give it the soap like foaming property when mixed with water. Fenugreek provides you relief from pre-menstrual symptoms like stomach pain, changes in mood, discomforts, body aches etc. It also reduces the occurrence of hot flashes and mood swings that are associated with menopause makes you relaxed.